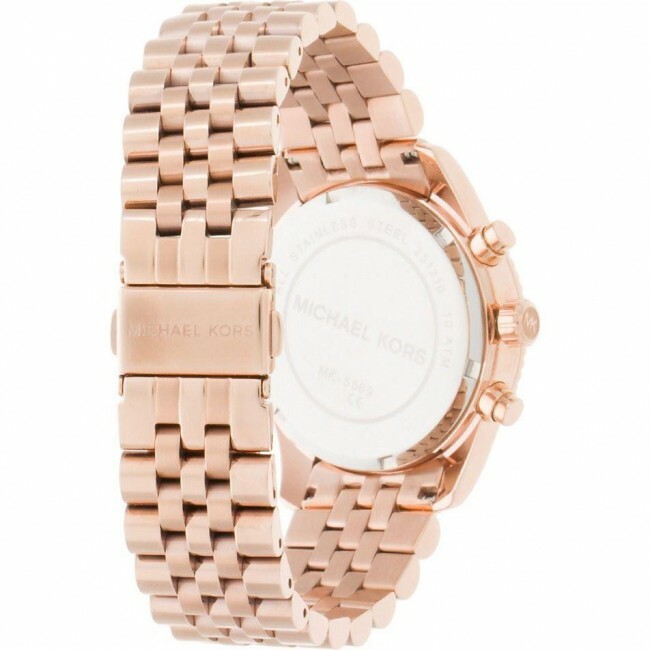 This stylish Ladies Michael Kors Lexington model is made from PVD rose-plate. 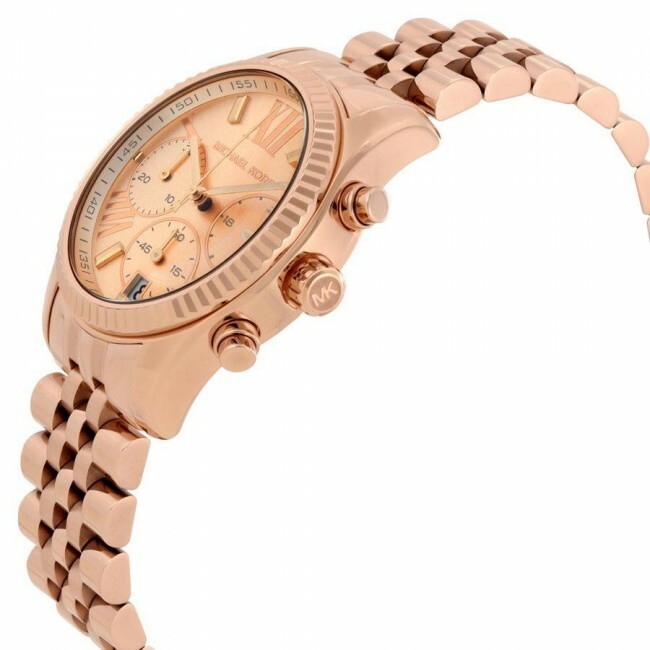 An elegant design with chronograph and date function. The dial is also rose colour and features rose combination hour markers and hands. 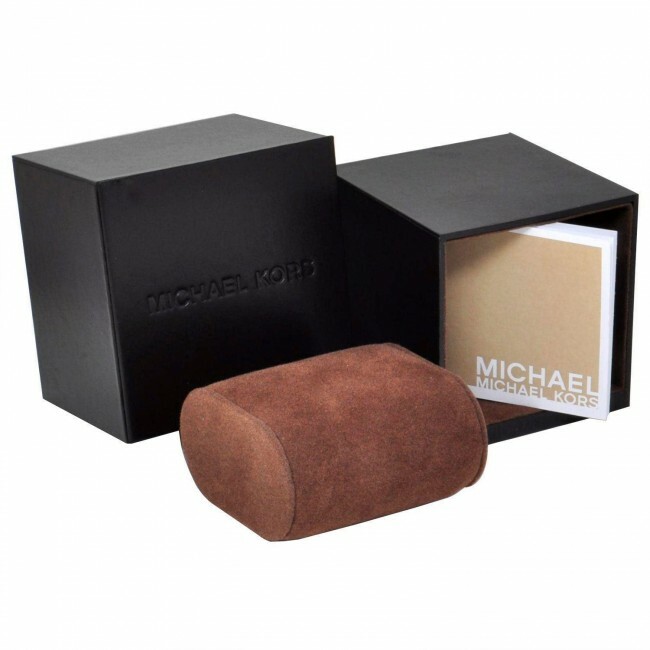 Another on trend time piece by Michael Kors. 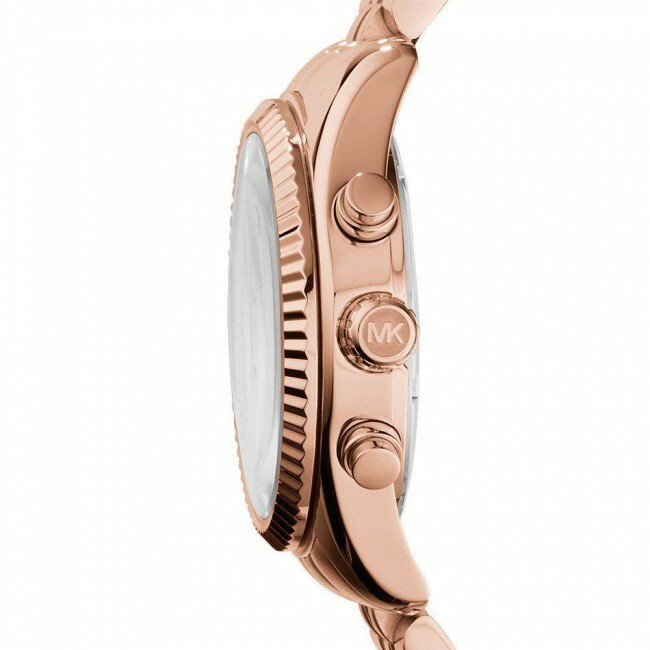 This stylish Ladies Michael Kors Lexington model is made from PVD rose-plate. An elegant design with chronograph and date function. The dial is also rose colour and features rose combination hour markers and hands. 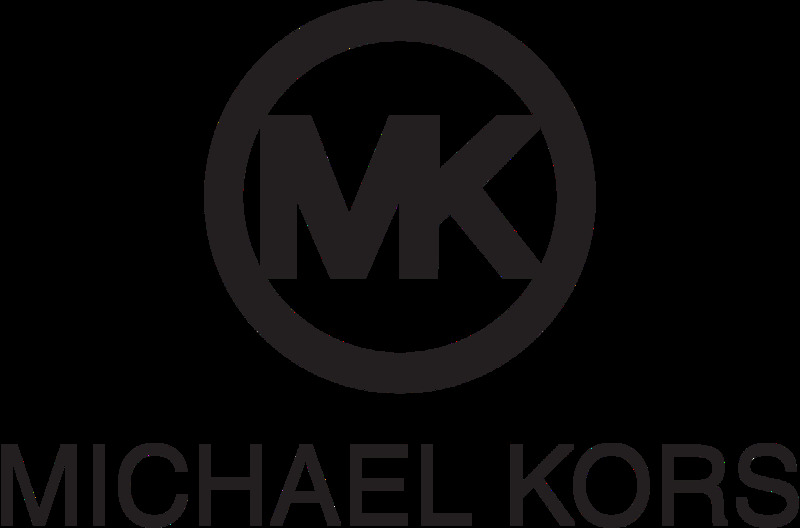 Another on trend time piece by Michael Kors.